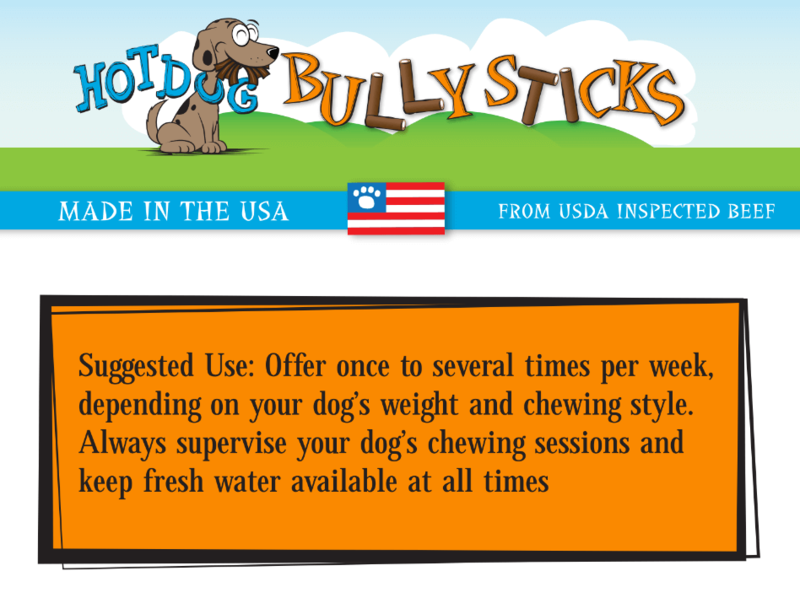 Our Hot Dog Bully Sticks are Angus or Angus/Herford crossed cattle that are 29 MONTHS old or younger. All USDA inspected beef are raised within a 500 mile radius of Omaha, Nebraska. So they are 100% USA born, raised, harvested. The sticks take only 2 weeks from processing to our shelves, meaning freshness you can count on and a 24 month shelf life. Our bull pizzle is slow cooked & roasted at 209 Degrees for 30-33 hours and then hand trimmed. Even better, they are processed in a GFSI (Global Food Safety Initiative) certified facility. This third party BRC audit certification. means the facility meets all the health and safety requirements to produce human grade foods. We love the quality of this bully stick! I feel safe choosing USDA inspected and made in USA.